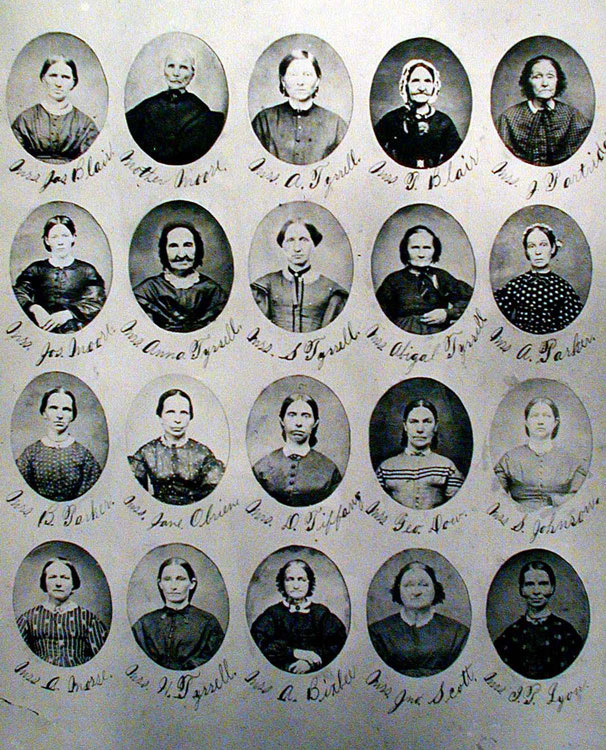 First Row: Mrs. James Blair, Mother Moore, AKA Submit "Mitty" Wait Graves Moore, Mrs. Arthur Terrell, Mrs. ? Blair, Mrs. J. Partridge. of Wards Grove, not the whole county. My cousin, Carson Yeager, had the photos of both the men and women. On the top row, the second photo is simply labeled "Mother Moore". I believe it is "Submit 'Mitty' Graves Moore". An article chronicling her life can be found here.